Treated Mom to a @49northhelicopters ride over Comox Glacier to celebrate her milestone birthday! Such a fun day and so glad to have a bunch of our family join in. It was the first time in a helicopter for 3 of us, including myself, and we all just loved it!!! My phone put together this memory video of “Saturday Brunch”, ie #VWF2019 Victoria Whisky Festival masterclasses!!! 🤣🤣🤣 🥃 brunch is the best! Looking forward to my #VWF2020 Saturday brunch!!!! Why am I in Scotland?? Because I love the taste. The flavour profiles are simply flavours I really enjoy. Because of the similarity yet diversity of flavours you can get from the same distillery. Because I love being able to have multiple bottles open at the same time. It’s great having no need to rush to finish the bottle within a day or two like with wine or beer making it easier to pick a malt for your mood and giving you the ability to share the whiskies with many people over multiple occasions. But most importantly because of the amazing people I have met through whisky: so many caring, sharing, passionate, friendly folks. Whisky has truly brought so much amazingness into my life! Long Story: What feels like many moons ago when I was starting to get more seriously interested in whisky, I had an initial thought that I would like to live in Scotland for a while. It would have been about 5 years ago now when this initial thought came about as I recall first thinking about it when I got home after the first Tip A Wee Dram whisky tasting fundraiser while I held the beautiful flowers that Team Hope had given me. Maybe it was the bagpipes? The stories J.Wheelock spoke of Macallan & Highland Park and Pako spoke of Auchentoshan & Bowmore? Or the feeling of a huge whisky accomplishment completed? Either way, it left me craving Scotland! 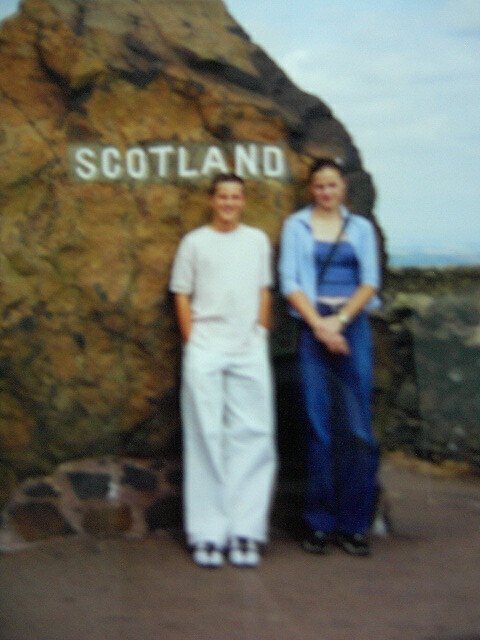 When I was in high school my Aunt took my brother & I on a bus tour around England & Scotland, as she wanted to give us a taste of our family’s heritage. Although brief, I loved what I saw and it clearly left me wanting more. 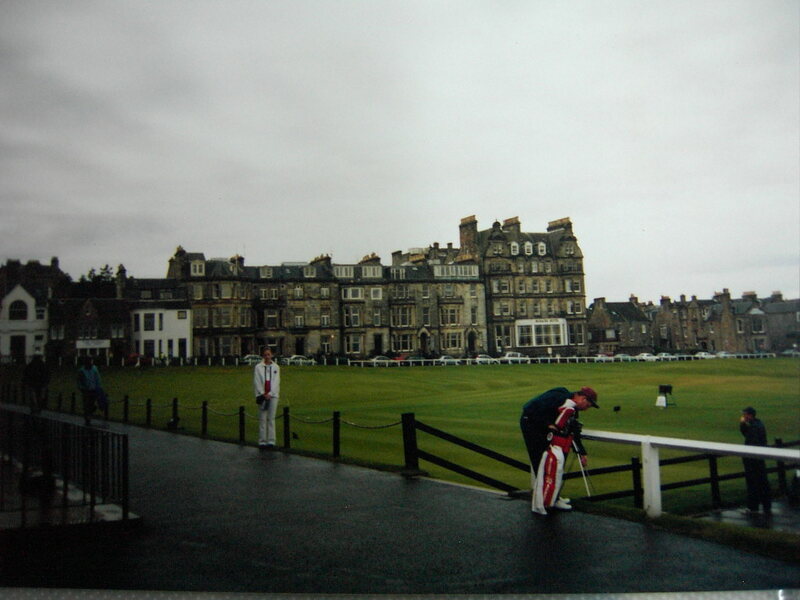 I love many things that Scotland does well…beautiful scenery….golf…bagpipes…funny accents…and now WHISKY too! So it would only make sense to live there. Talk about leaving a taste in my mouth though! A bittersweet one now knowing that we visited a whisky distillery on that trip and all I got to taste was apple juice. Maybe the angel’s share unconsciously got me? As I catch up on my blogging you will see that I am making up for it now!! So anyway, I looked into how I could make living in Scotland happen. Darn, I learned my Scottish & English heritage was too many generations back in my family to get a passport that way! Luckily as a young Canadian, a UK Youth Mobility Working Visa was still possible if I did it before I turned 31! Great, so I have a way to make it happen but the time was not right at that stage in my life so it got left as a thought for a while. As I became less “tied down” I thought about it more and more, but life in Vancouver was awesome! I was really enjoying my job. I had a great group of employees and was feeling nicely settled into the local liquor industry. Tip A Wee Dram and Team Hope also became a HUGE part of my life. The fundraiser kept growing year in and year out and I found myself spending all my free time from January – March and beyond on the event. Then I did something crazy leading up to the third year of Tip A Wee Dram and signed up to ride with Team Hope from Vancouver to Seattle in The Ride to Conquer Cancer! I was brand new to cycling, if you exclude riding a bike as a kid. It was very time consuming learning about cycling, buying all the gear and then training. I was about to cycle 220km in 2 days!!! As soon as Tip A Wee Dram was done I had less than 2.5 months to train. I trained long and hard every single weekend so I didn’t kill myself on the ride. Luckily I didn’t. With that much training cycling long distances gets easier. I really enjoyed the Ride to Conquer Cancer experience and fell in love with cycling. Lots of other amazing whisky things kept happening too so my Scotland dreams just kept being put on the back burner. Well, I wasn’t getting any younger so I knew I had to start getting serious about making it a priority. So I asked a well travelled whisky enthusiast friend who was in town for a short period of time if they had time to meet for a chat. I just wanted to ask questions and pick their brain about their experiences in Scotland. Turns out whisky brought an angel into my life over these years, who was delighted to hear about my dreams and offered to help coach me to achieve my goal of moving to Scotland to work in the whisky industry. Having someone to set goals with and be accountable to, a sounding board to listen and talk through the latest issues at hand and that knew the lay of the land very well after many trips to Scotland was so, so helpful. Emmett, you are one of a kind and I can’t thank you enough. I hope one day to pay it forward and help someone reach his or her dreams, as you have helped me reach one of mine. I am in it!